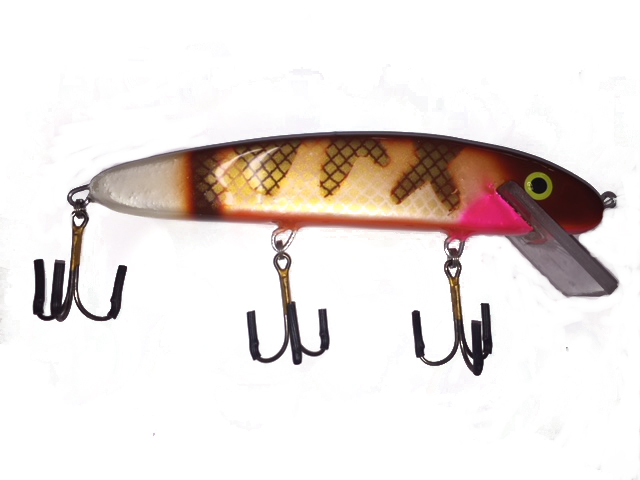 Hand crafted Cedar Crank bait with a 1/4" lexan Lip. 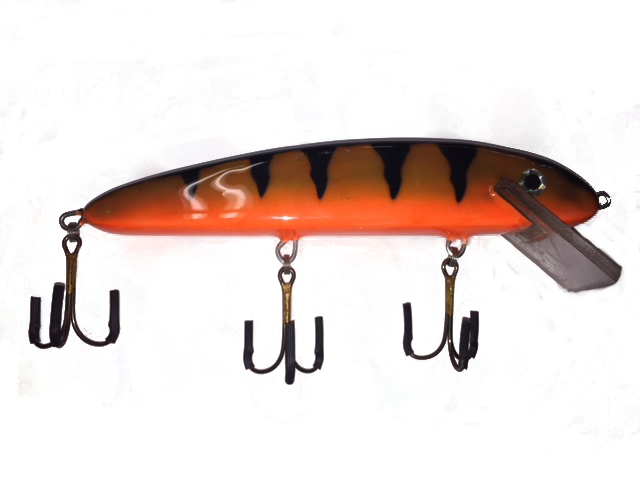 All hand painted and cleared coated multiple times. 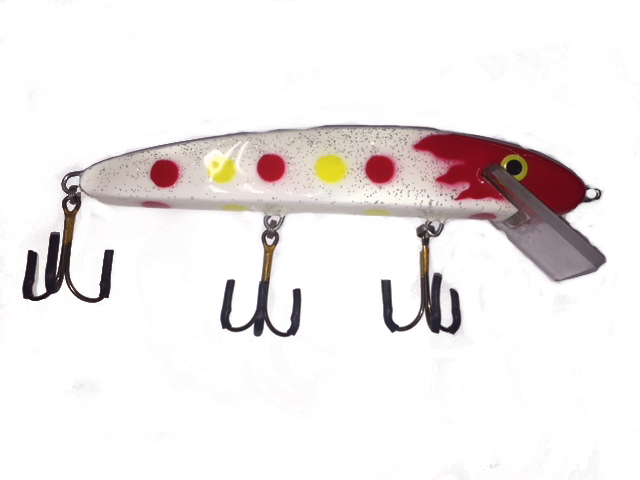 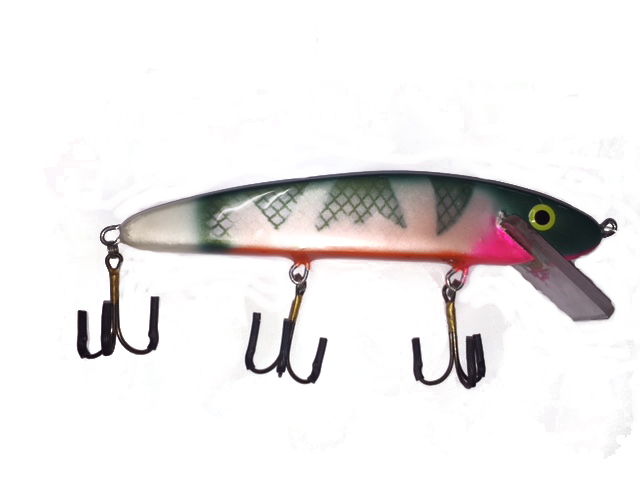 Thursty Lures are custom crank baits that are proving themself across North America. 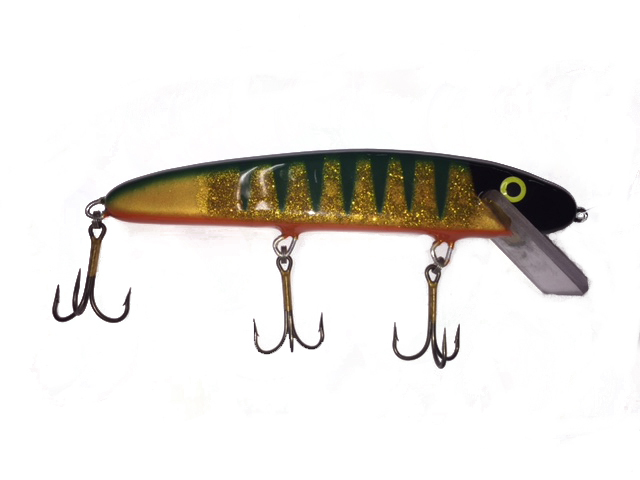 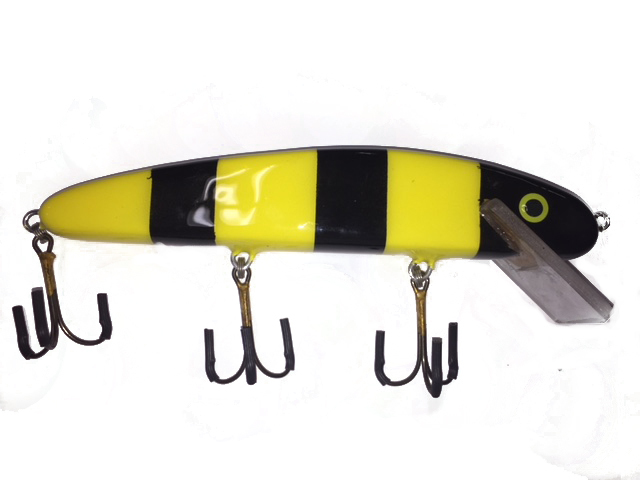 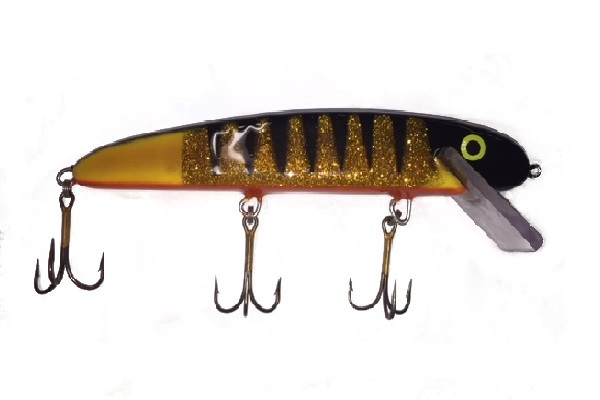 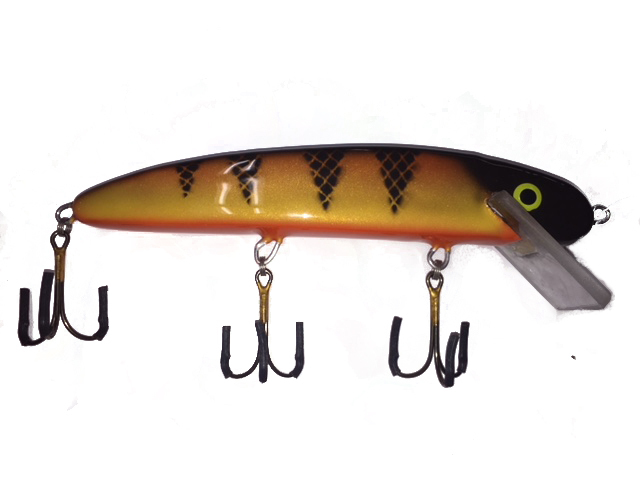 Catching trophy Muskies and Pike with an erratic tail kicking action that wanders to entice strikes. 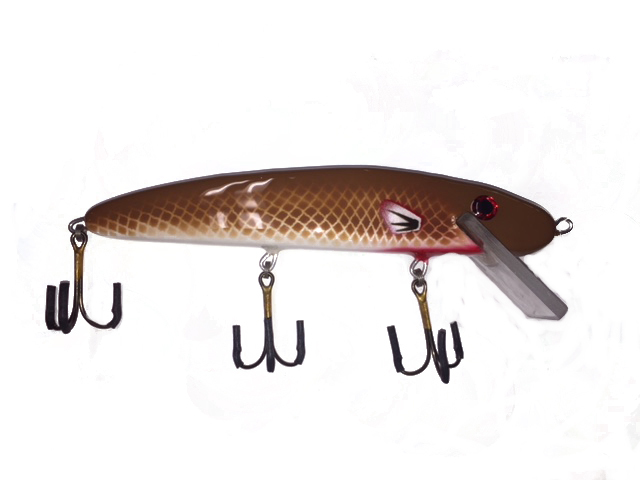 Diving depths of the baits while trolling are around 15 to 18 feet max. 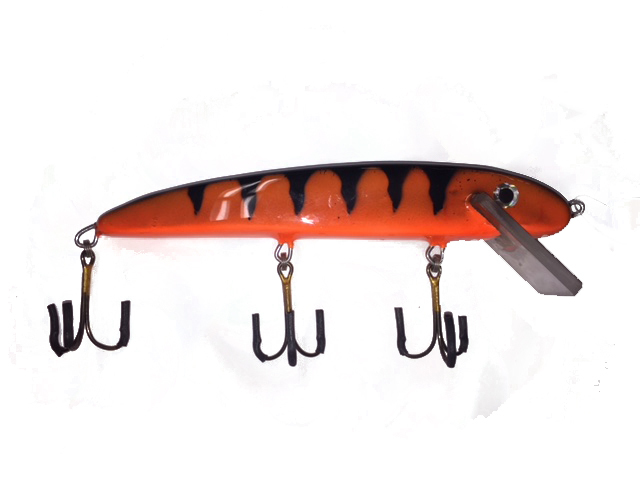 If you were to cast the Thursty....they float but would dive down approx 5 to 7 feet.